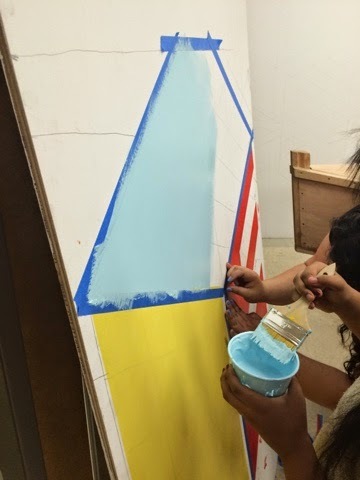 We are Camp Fire students at George Middle School painting a mural as part of our service learning project this year! Hi we are George Middle School students, we are going to be putting up murals to make this amazing school look brighter and better. 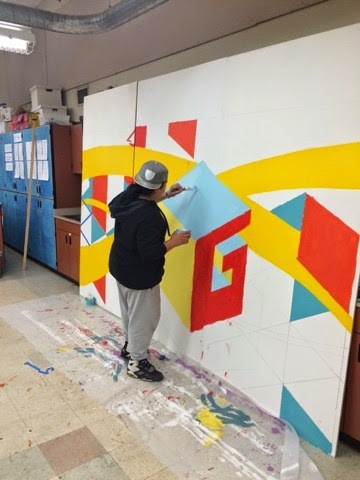 We are going to be working hard not just for our school but for our neighborhood we want our school to be beautiful and to show that we have lots talented students that are artists at our school. Our school has lots of creative kids with so much potential, now it is our time to show what we are made of and make this school a much brighter place! Our first day was great we had some really great ideas to make our goal happen. Here are some of the students designing pieces of the mural to get us started. We are practicing how to trace images off of a projector onto a paper. We did that to practice for when we start the actual project on the cafeteria wall. It went really well and we got lots of new ideas for our mural. We now went on our first adventure off of school grounds. We visited Alberta Street to take a look at the murals that are around for more inspiration. It was great, we got new ideas and even talked to a street artist named Micheal who was painting a bench. 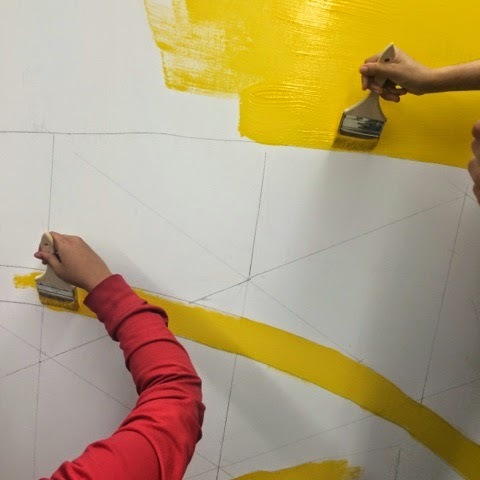 He helped us out with advice on what needs to be done and planned when you start a mural. Today we voted on what text and background we wanted as a class for our mural. It turned out to be an amazing decision... can't wait to show you the final design!